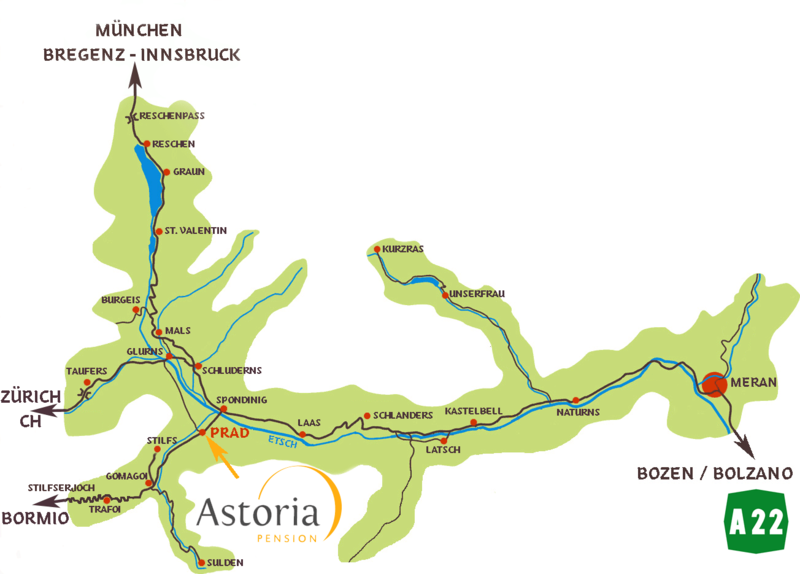 Thursday 21 Drive 143km from Colfosco/Corvara to Prato allo Stelvio, Prad with a 'look see' at Bolzano 'en route'. Friday 22 Ride Stelvio from the east with the famous 48 hairpins that you see in all the photos - the longest/toughest ascent because Prad is the lowest altitude base camp. 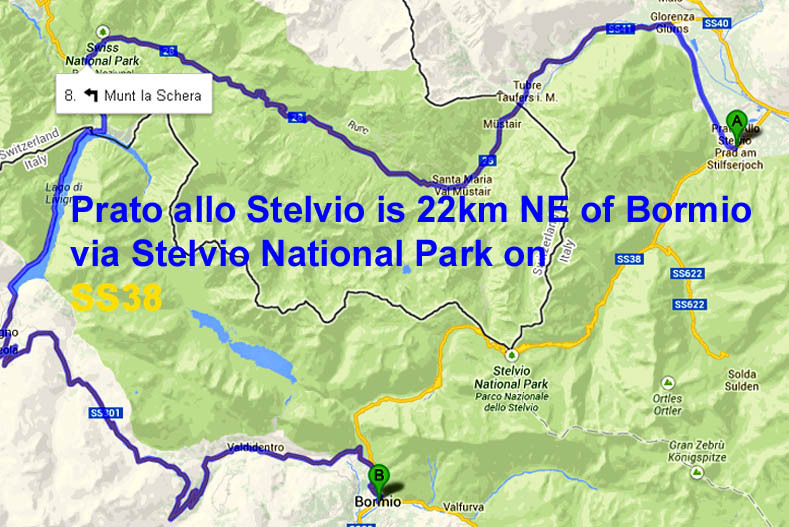 Saturday 23 Load the car and drive to the top of Stelvio and park. We all cycle down into Switzerland to Santa Maria Val Mustair. After a caffé doppio or a caffé stretto, we begin our climb up the Umbrail Pass - brilliant vistas, quiet road, lightest traffic. When we reach Le Sommet we can load back in the car or cycle down to Bormio to meet Betty and get the keys to Apartment Stella.